This vintage real photo postcard was taken at an unidentified studio and not mass produced. 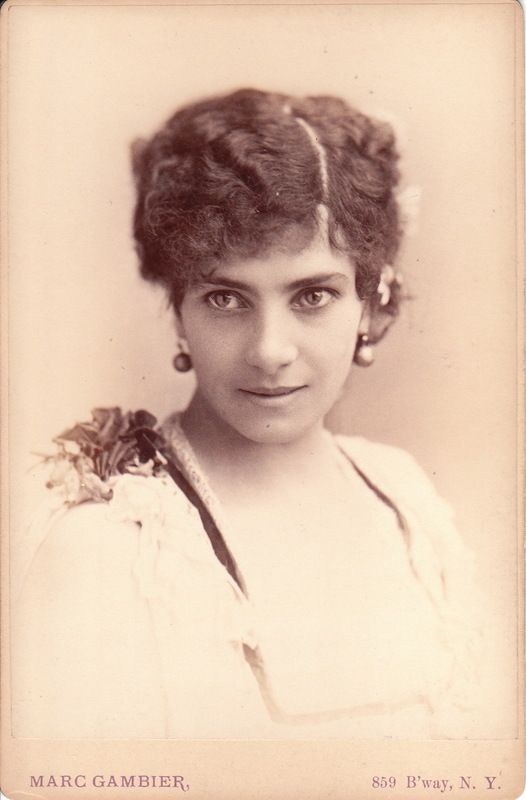 The young woman posing for the photograph is wearing a plain dress, pearls, and earrings. She dressed up for the photo but no one would accuse her of being a fashionista. The woman used the post card to transmit Christmas and New Year’s greetings. The message on the reverse of the card was written in 1933. The stamp box on the verso indicates that the postcard used Kodak of Australia paper. This postcard has excellent clarity and is in excellent condition. Let me introduce you to cousin Betty Hudson. She is a cutie pie. 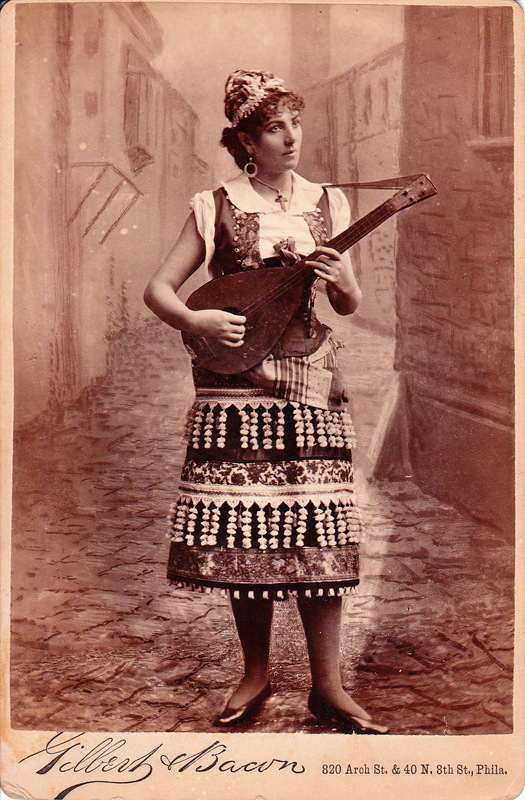 This vintage real photo postcard of Betty was taken by a studio in Brisbane, Queensland, Australia. The photographer used lighting in creating this photo that is reminiscent of the work of artist Coles Phillips. An inscription on the reverse of the postcard indicates that this photograph was taken in 1917. This photo postcard is in good condition (see scans). This cabinet card features a woman in chains. The previous sentence, and the title of this blog entry, may be misleading because the woman isn’t exactly in chains; instead, she is wearing a chain necklace. Don’t you hate those sensational headlines that are aimed to manipulate you to watch a particular news show, or read a certain newspaper? Sorry! 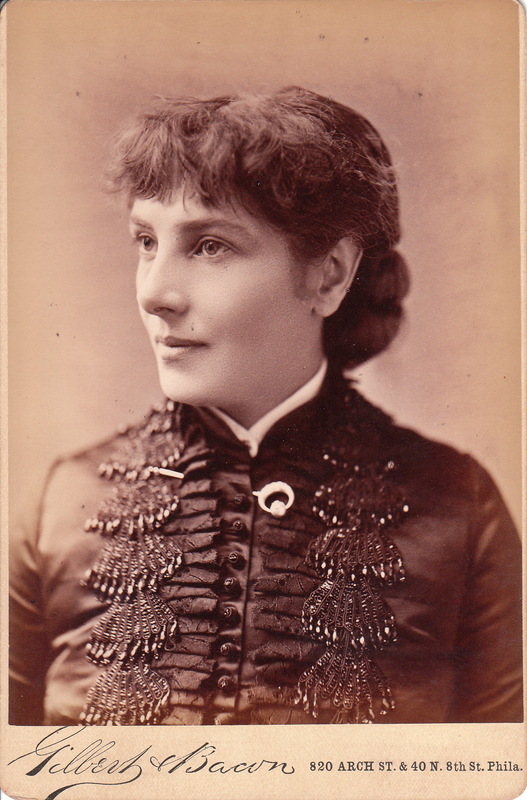 This lady’s name is “Emmie” according to a notation on the reverse of the cabinet card. She is thin, pretty and curly haired. The chain she is wearing has a pin attached to her collar and also has a charm or locket. Ironically, the charm resembles a modern day pet identification tag. This image was photographed by Batchelder of Stockton, California. Perez Mann Batchelder (1818-1873) was a daguerreotypist, ambrotypist, and photographer active in a number of areas in California, including Sonora, Stockton, Vallecito, Murphy’s Camp, and Mokelumne Hill. He also operated studios in Melbourne, Australia (he followed the gold rush occurring down under) and Boston, Massachusetts. He worked in all of these locales over a short period of time. He clearly did not let moss grow under his feet. Batchelder with his brothers Nathaniel, Freeman, and Benjamin Pierce founded a daguerreian dynasty which in the 1850’s and 1860’s established dozens of galleries on both coasts of the United States and in Australia. Batchelder travelled incessantly and operated many enterprises simultaneously. He was born in Massachusetts and entered photography as a career in 1844. The book, “Pioneer Photographers of the Far West: A Biographical Dictionary” (2000) was the source of much of the information about Perez Batchelder. 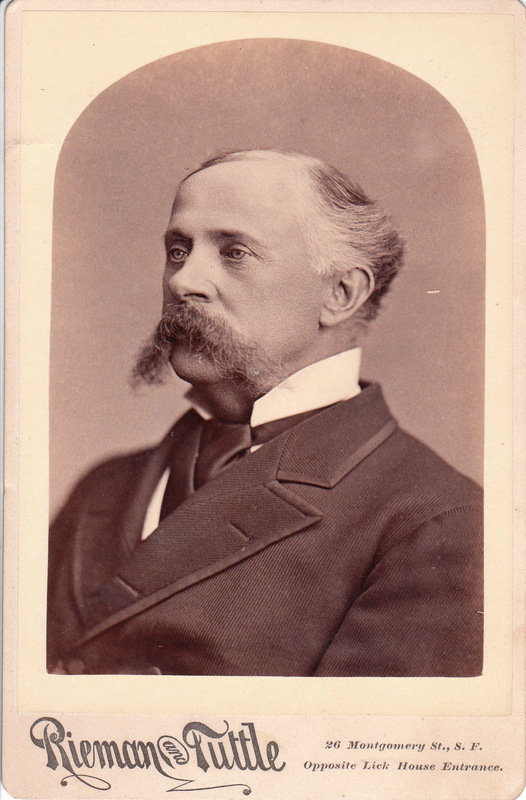 This cabinet card is a portrait of a nicely dressed older gentleman with a bushy mustache. The gentleman appears quite distinguished and may have been part of the elite of San Francisco. 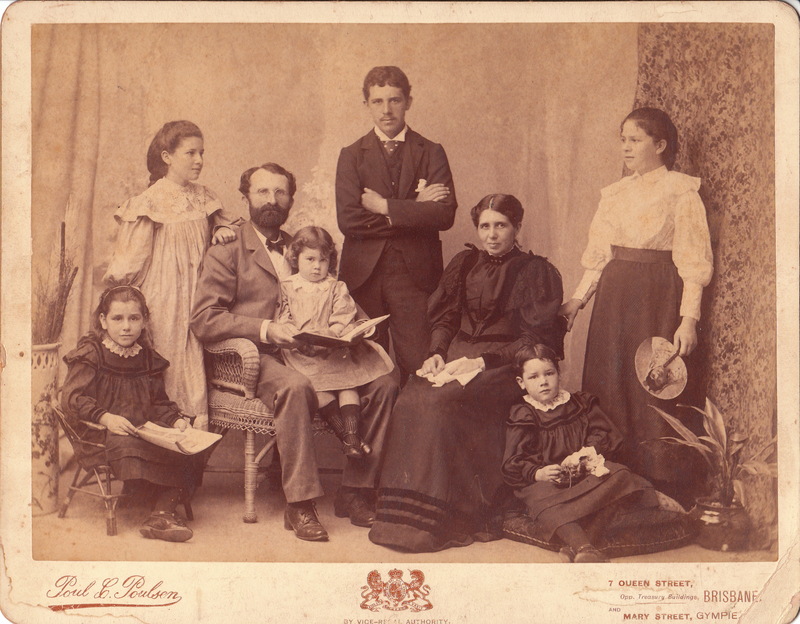 The Rieman and Tuttle Studio produced this cabinet card. George B. Rieman and William Nutting Tuttle (1844-1895) became partners in 1879. The first three letters of Mr Tuttle’s middle name seems to have described his personality. He appears to have been a vagabond photographer; working in a number of studios and having multiple business partners in the years proceeding his venture with Rieman. In 1880, Tuttle left his family in Oakland and sailed to Australia to start anew. 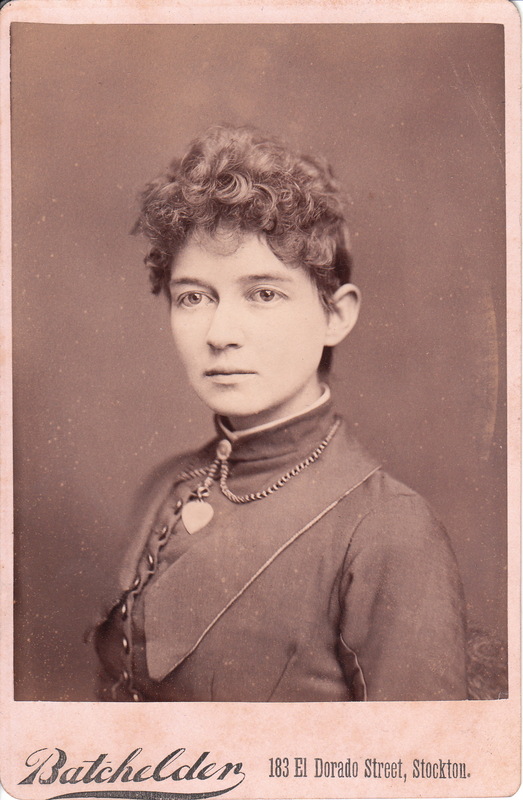 Tuttle’s wife, Belle, went to Australia to try to convince her husband to return to California. Her efforts were fruitless. 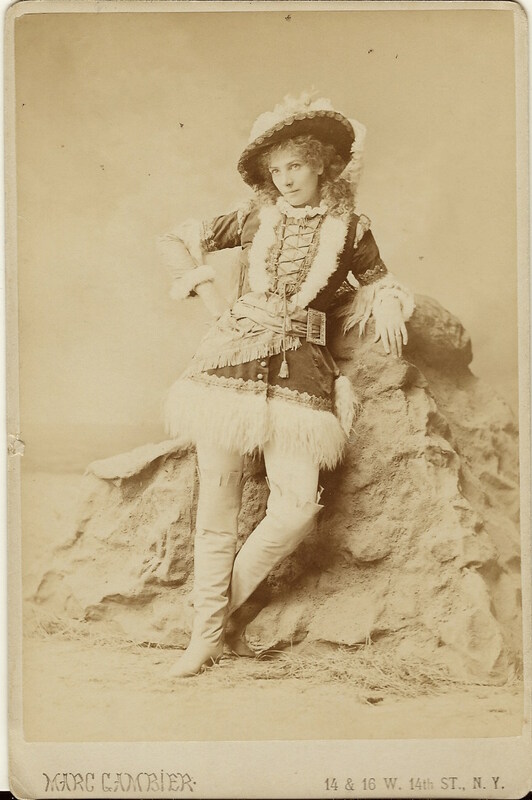 Although Tuttle’s photography studios were very successful and he prospered in Australia, he didn’t support his family back in the United States. He stayed abroad until his death in 1895. The Cabinet Card Gallery has some photographs related to this image. To see other terrific mustaches, click on the category “Mustaches (Only the Best). To view other photographs by Rieman, and to learn more about his life, click on the category “Photographer: Rieman”. 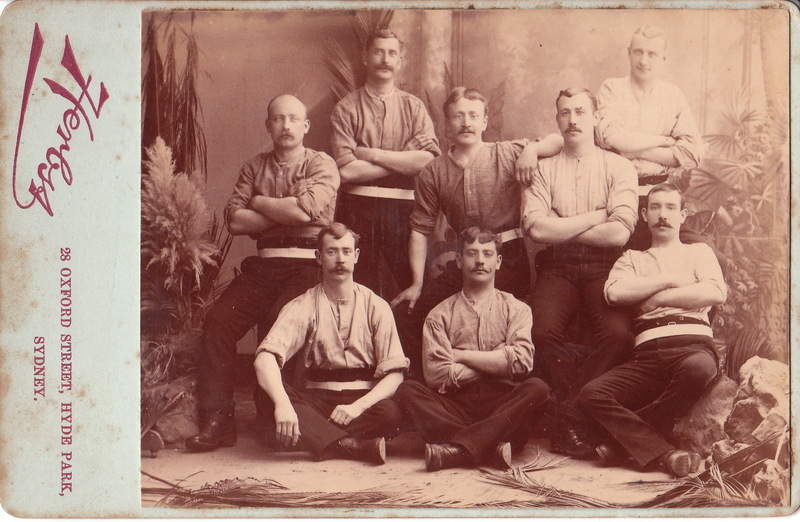 This cabinet card is a portrait of eight very athletic looking men. The men are dressed very similarly. Their pants appear to be identical and they each are wearing a wide white belt around their waists. The image presents a number of questions. Are these Aussie blokes wearing a uniform? Are they members of a sports team? Are they wearing work clothing and all share the same occupation? Hopefully some Cabinet Card Gallery visitors will leave a comment that gives their opinion as to the answers to the aforementioned questions. The photographer of this image is Herbst of Sydney, Australia. He is mentioned in a number of Sydney newspapers published in the 1890’s. Advertisements for his studio appear in the newspapers, and there is mention of some of the notables he photographed.